Saint Archer Coffee Cream Porter - AoM: Beer et al. Today I went to Slater's 50/50 with my friends and to drink I ordered a beer flight. Smell: This beer definitely smelled like coffee. I also noted its thick head. Color: Simple to distinguish from the rest, the Saint Archer Coffee Cream Porter appeared black. Taste 1: Before tasting the beer, I gave it another whiff and found it had a bit of a toasty and/or nutty smell. I liked that the beer tasted like it had some substance to it (the opposite of a watery beer). 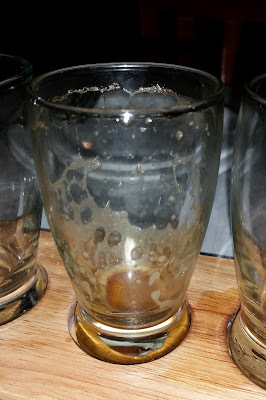 I guess I should say I liked the beer's perceived viscosity. Taste 3: Saving the best for last, the Coffee Cream Porter still tasted like coffee. Furthermore, it had an easy taste (drinkable). 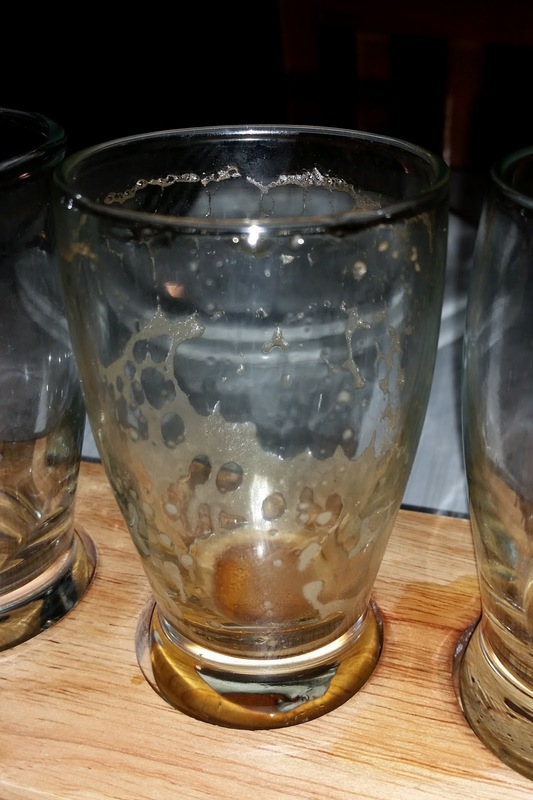 Inspecting all four glasses, the Coffee Cream Porter was the only one with lacing. *Possibly "too much to drink" considering I never finished the sentence. Of course, I didn't have to drive. For our sophomore offering in our Nitro series, we wanted exploit that nitro creaminess, so we created our Coffee Cream Porter. We chose a Bolivian coffee with our friends from Bird Rock Coffee Roasters, which lends itself to a nougaty milk chocolate and toasted praline character. 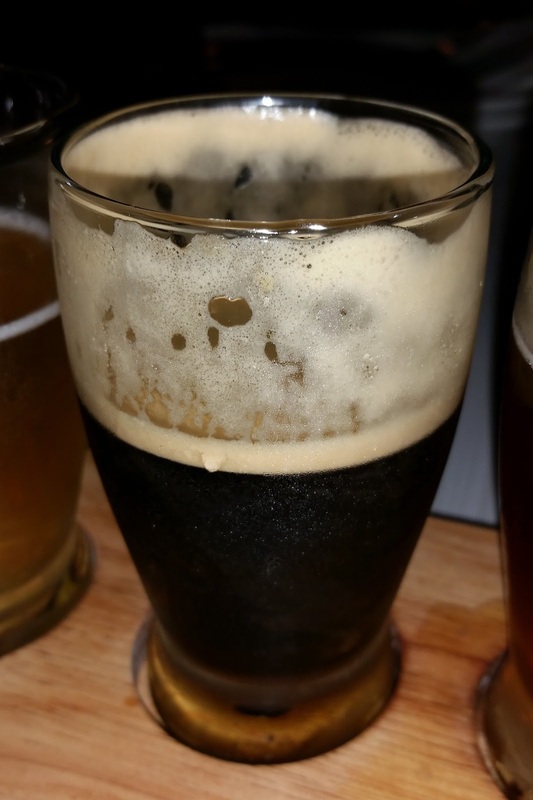 Layered with chocolate, crystal and Maris Otter malts, vanilla beans from Madagascar and lactose for that delightful creamy mouthfeel, this beer is the sweet porter that leaves you wanting dessert, especially if that dessert is another pint.